Since the business was established at Hall Farm in 2005, it has steadily grown and developed. Our yard is BHS and Pony Club approved, offering BHS qualified instruction. We have well-schooled horses for lessons and hacks, a floodlit 20 x 40 meter all-weather outdoor arena with judges’ box, extensive grazing and six boxes for liveries. We have a great team with one thing in common; a passion about horses and riding. 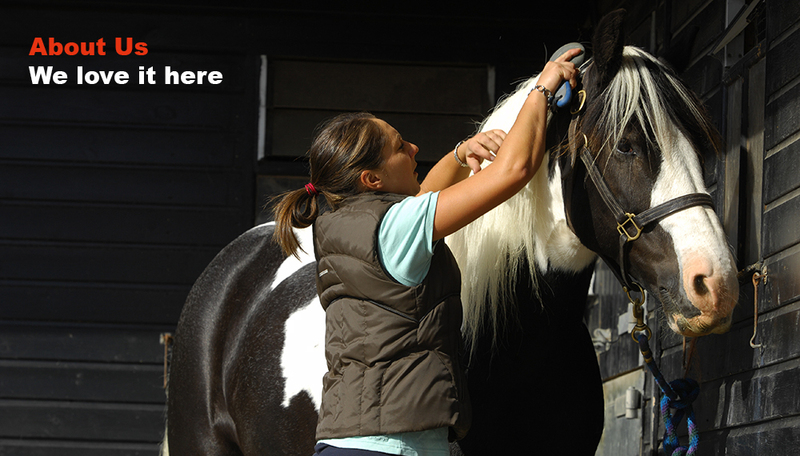 The welfare of our horses and riders is paramount. Thus we pride ourselves in a small, well-run yard managed to high standards of yard management, teaching and horsemanship. It is important to us that you enjoy the yard as much as we do, so we keep the atmosphere relaxed and friendly. If you would like to come and meet us and have a look around, please give us a call; you will be very welcome.